I was recently invited to dinner by Jamie Oliver. 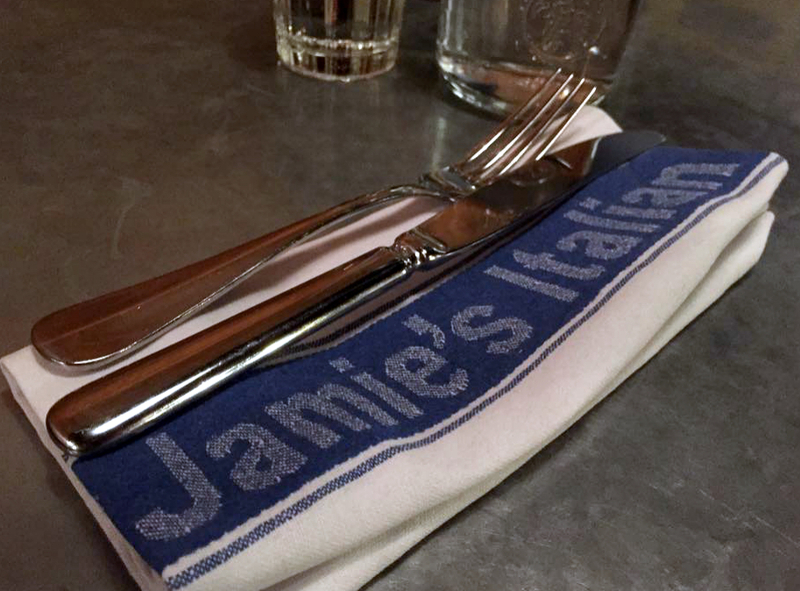 Ok so I was invited along to Jamie's Italian Milton Keynes, which as one of Jamie's restaurant's is basically like being invited to dinner by the man himself. Jamie Oliver has always been one of my favourite TV Chefs, he's got a great personality and his food is always based around good, classic meals, things you can make yourself, or ways to make the most of your food. So when I found out his restaurant was opening up in Milton Keynes I was dying to try it and get a taste of his food. As I've been away at uni the opportunity hadn't arisen until now. 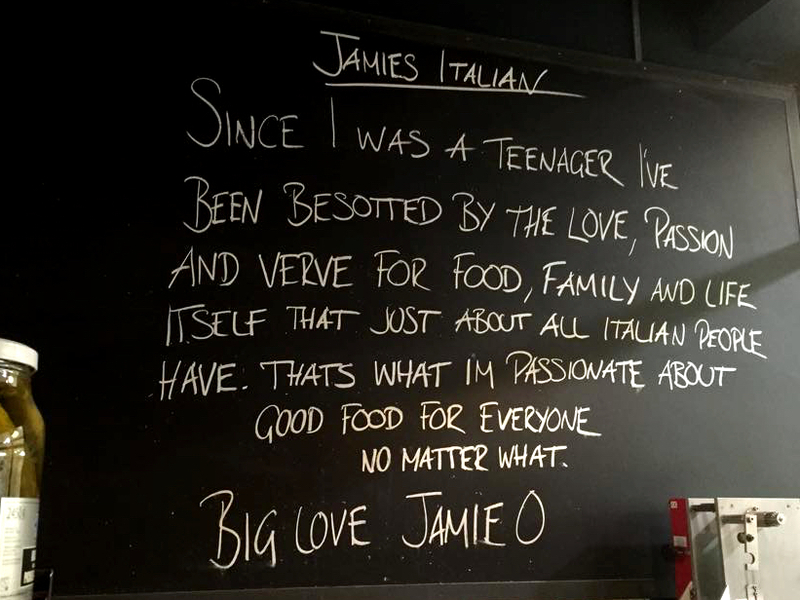 Jamie's Italian is, obviously, an Italian restaurant serving both some classic well-known Italian meals like your carbonara and Bolognese, as well as a some tasty sounding not so classic options. It's all about 'fantastic, rustic dishes created using tried and trusted recipes' with Jamie's innovative twist thrown in too. 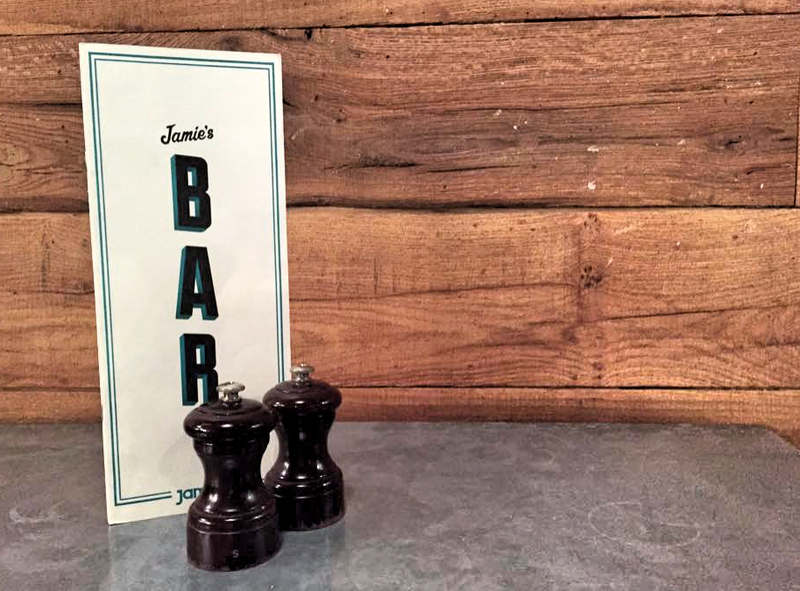 Having never been in a Jamie's Italian before I wasn't sure what to expect but as I'd heard great things from other people I had high expectations. This isn't a posh fancy restaurant thats for sure. 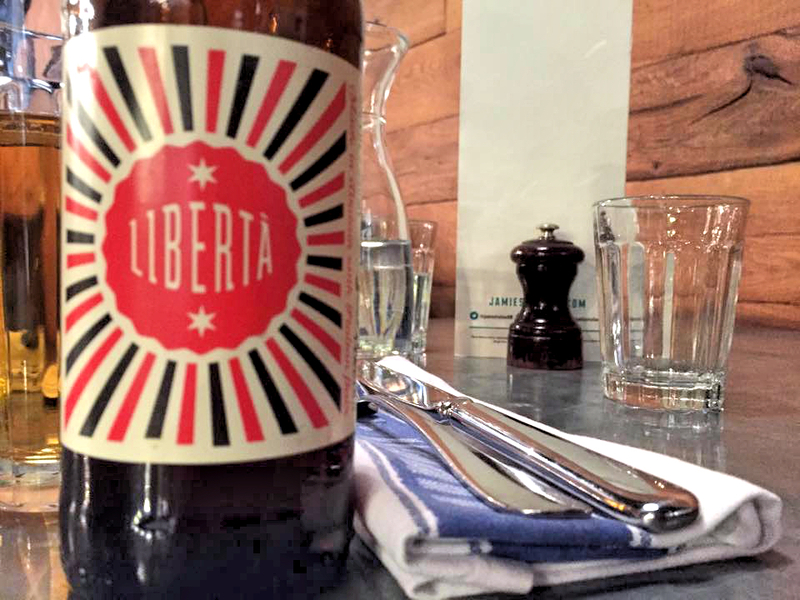 It has a really down to earth, easy vibe, with an industrial feel thanks to the exposed metal pipework on the ceiling and the metal topped table, along with the wooden walls and the visible kitchen it was definitely going for a more relaxed vibe. Which I loved. On arrival we (my boyfriend & I) were friendlily greeted and I must admit I did feel pretty special when he called me a VIP Blogger! The service was very good, with our waitress being very attentive and chatty, always coming down to our level when talking to us. After taking photos of everything I could we ordered our drinks, Josh going for Jamie's own craft brewed lager, which he confirmed was nice, and I went for a Passion Fruit & Mango Smash cocktail, which tasted heavenly! For a starter we decided to try out the 'Italian Nachos' which were nothing like normal nachos and were in fact little ravioli's filled with cheese and served with a very spicy tomato salsa. Other than the fact my poor mouth couldn't cope with the heat of the salsa this was definitely a nice starter, slightly on the salty side, but that would probably work well the salsa, I just couldn't cope with the heat! However it was a good sized portion and definitely something a bit different for a starter. Our plates were quickly whisked away and before long our mains were placed in front of us. 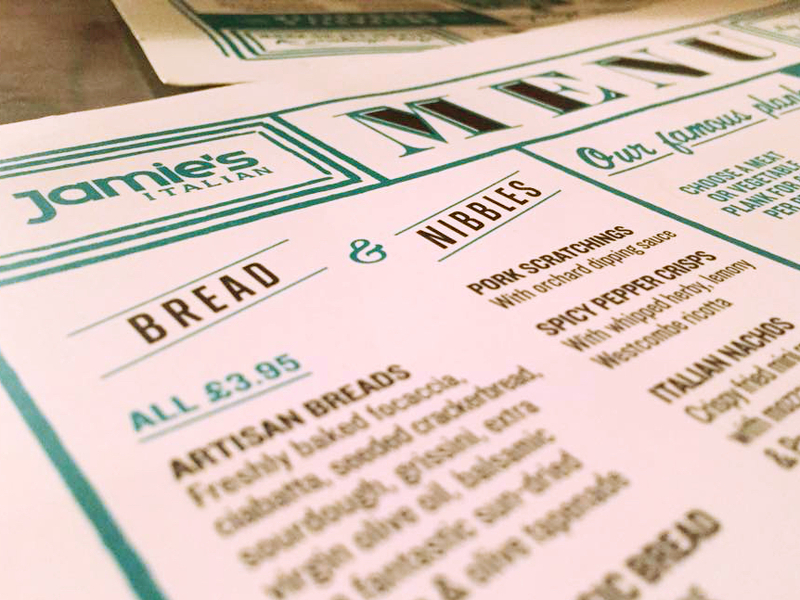 If I was to have one criticism of Jamie's Italian Milton Keynes it would be that the service was slightly too quick, not something I'd normally complain about, but it felt as though we had only just finished our starter before the next course was brought out. I'm not sure if this was the kind of style they were going for, being a bit like Nandos, but if they weren't this was slightly off putting as you didn't get to fully enjoy your meal out as an event. However, they might just have been trying to impress this 'VIP Blogger', so it wasn't a big concern for me. For our mains we didn't venture too far from what we knew, with me opting for Jamie's Sausage Pappardelle, basically a tomato sausage pasta dish. It was very yummy, I liked the texture with there being little herby breadcrumbs and soft sausage meat. Next time I'd definitely be trying some else as there was so much on the menu that I wanted! 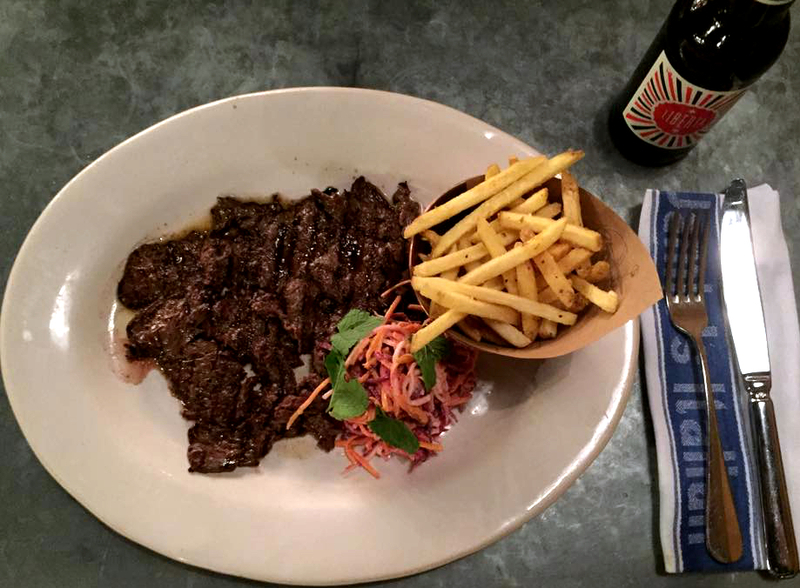 Josh went for the Italian Steak Frites a 'flash grilled' steak served with crunchy slaw and fries. Josh really enjoyed his meal, and I had a little taste and can confirm it was very good! To finish our meal it would have been rude to say no to a pudding! 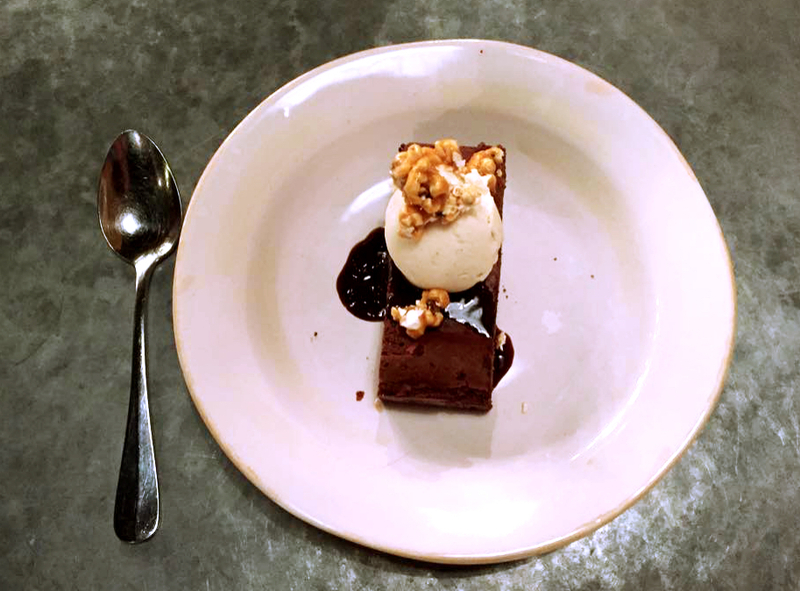 After being recommend to us by our waitress we decided on the Epic Brownie to share, and let me just say this brownie was epic! Warm, soft and gooey, covered in chocolate sauce, vanilla ice cream and caramelised popcorn it was delicious, if not slightly overwhelming. 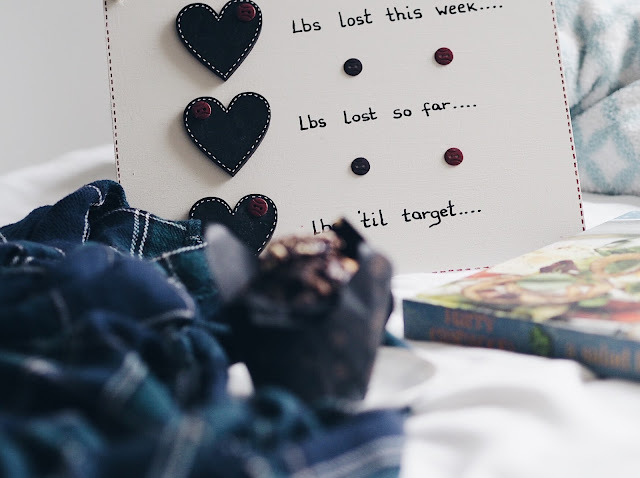 Normally one to demolish a brownie by myself even with Josh's help we struggled to finish and left a tiny little bit before sitting back feeling very full. Overall our meal was very nice, definitely a nice alternative to other Italian restaurant chains, it's also reasonably priced with most mains ranging between £10 - £14. It's definitely somewhere I'd consider going again as the variety of options on the menu would be sure to please most people and the atmosphere is relaxed and staff lovely, might have to ask them to give a little bit more time between courses though! 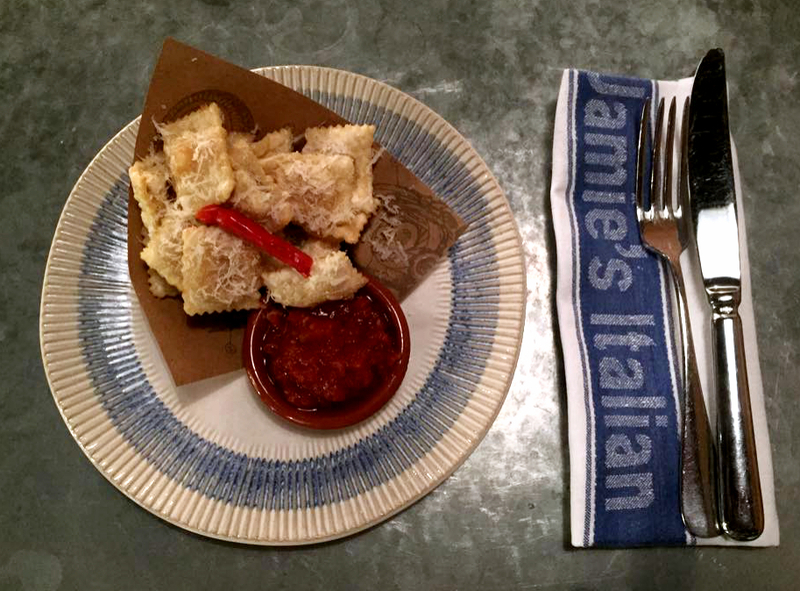 If you'd like to check out where your closest Jamie's Italian is you can find out on their website here. Have you ever tried out this restaurant? What's your thoughts? 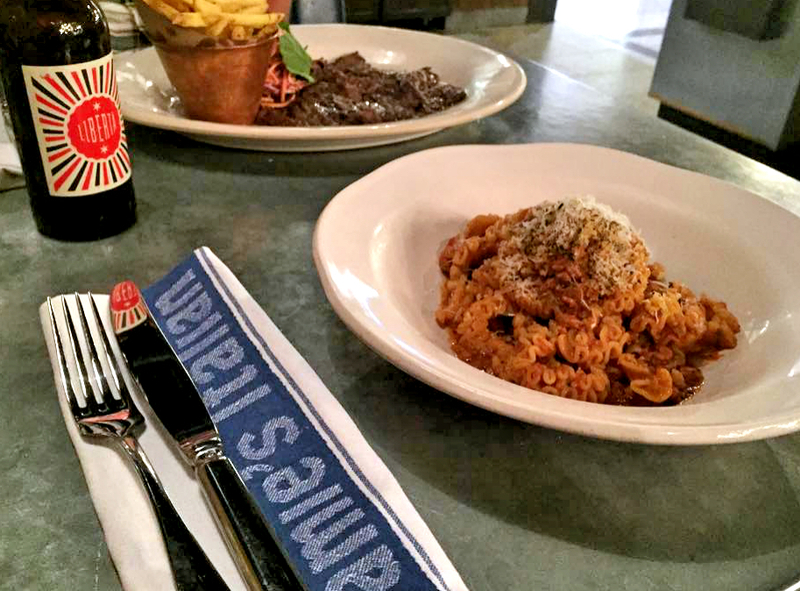 Are you a lover of the Italian classics or do you like to be a bit more adventurous? 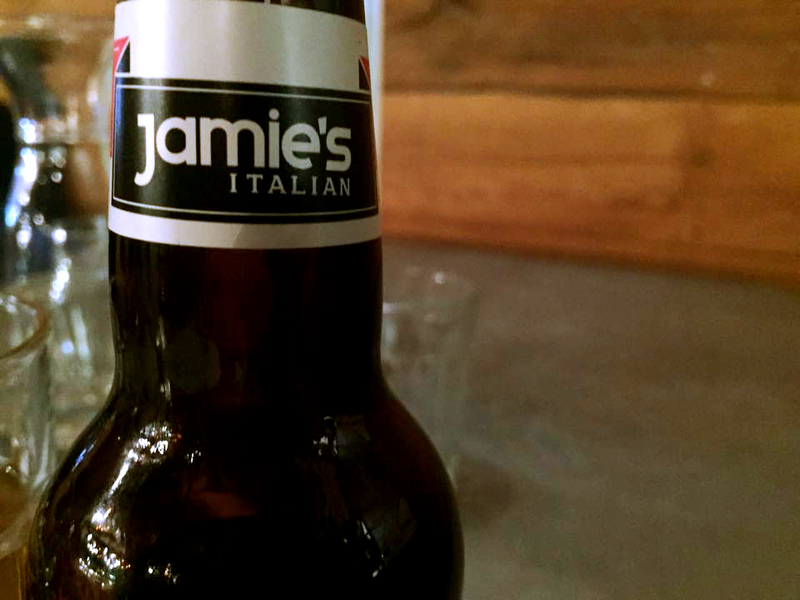 *Jamie's Italian contributed to the cost of the meal in exchange for a review. As always all thoughts and opinions are my own.